Gorgeous bird, I love the red markings on its wings and chest. Would definitely try and befriend! Definitely wouldn't feel out of place in Unova. DAAAANG!!! This is amazing dude! The design is complicated, but not overly complicated, it's just the right amount of "normal" and simplified. I LOVE the way you did the wings into the tail, it's perfect. 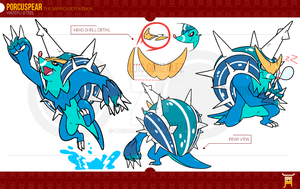 I mean as a whole this is about the most realistic pokemon looking design I've ever seen. And also, just the artwork, it's flawless, absolutely flawless. You are so talented! 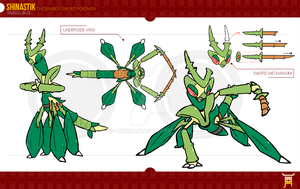 Great design and in the Pokémon style! Can see it being competitive with those stats and Gale Wings. 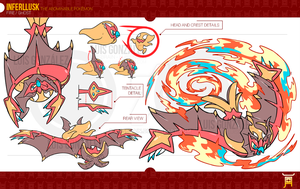 Maybe a little similar to Braviary but changing up the colouring would solve that. Some kestrel's are known for their blue head and wing plumage. What if you make the brown parts (excluding the torso part) blue and the red parts brown? Name-wise, kestrel would be a great opportunity to combine with stratosphere e.g. Kestratos! Or Striden/Strid, a Danish/German/Swedish for "fight/combat" e.g. Kestrid!